Stacey was able to get us in in pretty short notice and was amazing. Fun to work with and had all of the props we could ever ask for. Definitely will be using her again. Stacey is such an amazing photographer! She did our maternity pictures and newborns! We love all of them!! Stacey has been the best photographer! She gets the best pictures of our little girl (who is very stubborn when a camera comes out!) we are so excited for her to capture our daughters first year photos and more!! Stacey was amazing and so patient taking my son's newborn photos. They turned out so perfect, I couldn't ask for better pictures. She was so good with scheduling me in quickly too. She made the shoot very interesting, fun, and had a very nice environment to be in. I love how she made my son so comfortable so she was able to take such beautiful photos. Thank you! Will definitely be having all my future photos done by Stacey! Wow! Talk about talented!!!! We had our newborn photo shoot tonight and Stacey is so amazing and was so patient with our little one! Not only was she professional but she did such an amazing job! Stacey is fantastic! She did a boudoir session for me for Valentine's Day a few years ago. She was so friendly and fun, and extremely talented! You can tell she puts all her energy into what she does, and that she loves doing it. I've never felt more beautiful in my life, and I've gotten nothing but compliments on the photos! I have never had so many people comment about how amazing our family pictures are until Stacey did them! She is absolutely fantastic and amazingly talented! 100% worth the drive to Cache Valley! 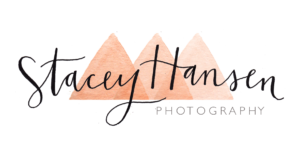 I've had two sessions with Stacey and she is wonderful! She was open to ideas I had for photos and she also had a ton of great ideas! Stacey was really good with my 9 month old and captured priceless moments of her. Can't wait to book my next session with Stacey! Stacey is one of my dear friends i met doing relay for life. She has always captured our family pictures perfect. She has such an amazing kind personality that my family even my little girl feels so comfortable with. Pictures is always the most stressful day but Stacey always helps to make you feel at ease. She is amazing with kids. You will be happy you picked her!!! Stacey is a awesome photographer! She has done all my pictures. From my maternity, my daughters first born, family pictures, And more to come soon i can't wait! So she does a variety of things. Very easy to work with, Very nice, Fast, and affordable! What more could you ask for! I highly recommend her!